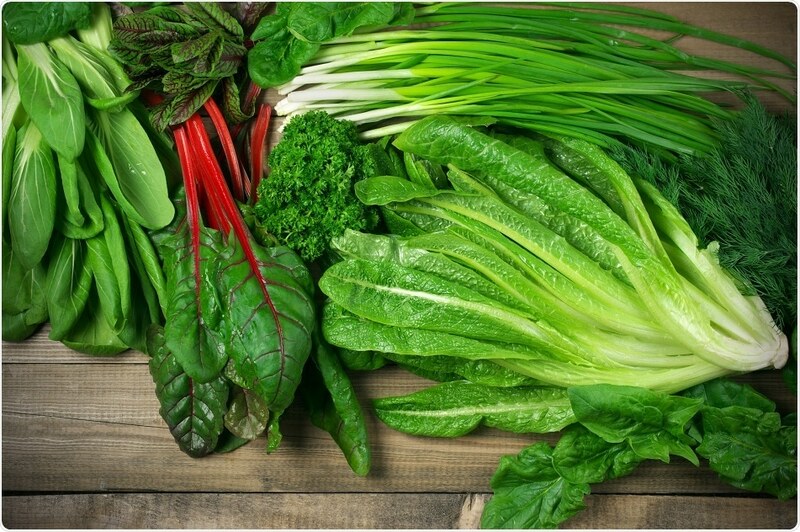 A new study published yesterday in Neurology, the online medical journal of the American Academy of Neurology, Neurology, suggested that consuming about one serving of leafy vegetables per day may be associated with a slower rate of brain aging. According to the study, people who consumed at least one serving of green, leafy vegetables daily had a decreased rate of decline on tests of memory and thinking skills, when compared with people who rarely or never eat such vegetables. The study author Martha Clare Morris, ScD, from Rush University Medical Center, Chicago, said that the difference between the two groups was the same as being 11 years younger in age. The study enrolled 960 participants with a median age of 81 who had no dementia, and were followed for an average of 4.7 years. During the study period, they were asked to complete a questionnaire on how often and how many servings they ate of three green leafy vegetables---kale/collards/greens, half cup cooked; spinach, half cup cooked; and lettuce salad, one cup raw. Based on how often they ate green leafy vegetables, the participants were divided into five equal groups. Those in the top serving group consumed an average of nearly 1.3 servings a day while those in the lowest serving group consumed an average of 0.1 servings a day. The participants attended tests on thinking and memory skills. As a whole, the scores on the thinking and memory tests for the participants reduced over time at a rate of 0.08 standardized units per year. After more than 10 years of follow-up it was found that, for participants who consumed the leafiest vegetables, the rate of decline was slower by 0.05 standardized units per year than those who consumed the least leafy greens. According to the study, the above stated difference was the same as being 11 years younger in age, as aforementioned. Even after considering other factors that may affect brain health like high blood pressure, smoking, obesity, amount of physical and cognitive activities, as well as education level, the findings remained valid. Morris also explained that the study does not provide evidence for consuming green, leafy vegetables to decelerate brain aging, but only shows a link. In her opinion, ruling out other possible reasons for the association cannot be done. Also, as the study focuses on older adults and the majority of participants were white, the results may not be applicable to younger adults and people of color.